He suggested the two sides work out measures to boost two-way trade, which stood at 37.42 million USD in 2016, via the intergovernmental committee on economic-trade and science-technology cooperation. The President also recommended stepping up affiliation in specific realms such as garment-textile, footwear, cotton and fiber production, farm produce, seafood, plant varieties, animal breeding, and oil and gas. 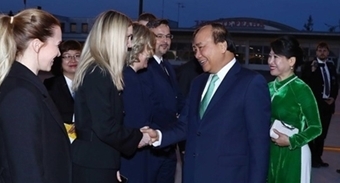 Apart from increasing high-level delegation exchanges for better mutual understanding and trust, Vietnam and Uzbekistan should expand cooperation in culture, tourism, and education-training, he said. He took this occasion to thank Uzbekistan to actively support Vietnam to join the United Nations Human Rights Council in the 2014-2016 tenure and the World Heritage Committee in the 2013-2017 tenure. He called on Uzbekistan to continue supporting and coordinating with Vietnam at multilateral forums in the region and the world at large. For his part, Deputy PM Mirzaev Zoyir said the ongoing visit of the Uzbekistani delegation is intended to study Vietnam’s experience in socio-economic development. Uzbekistan wants to enhance cooperation with Vietnam in politics, economics, trade and investment, specifically in cultivation, processing and exporting farm produce, footwear and apparel products, he added. The country is also keen to further the bilateral cooperation in personnel training and sharing know-how in the sustainable and effective use of water resources, he said. 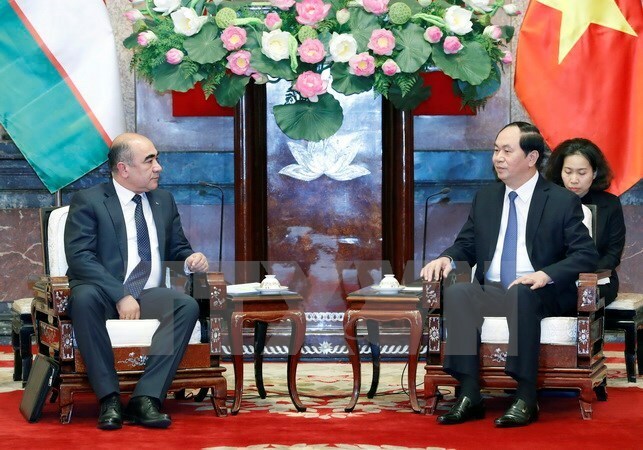 The guest handed the letter of Uzbekistan’s President Shavkat Mirziyoyev to President Tran Dai Quang, expressing the wish to propel the two nations’ friendship and cooperation forward, and inviting President Quang to pay a State-level visit to Uzbekistan.